VMworld kicks off this week in San Francisco. I happen to know a few loyal VMware IT professionals, and the event is clearly a very exciting time of the year for them – an opportunity to meet other fellow enthusiasts, as well as to learn more about new releases from VMware. But I wonder if they would ever expect to learn more about Microsoft technologies such as Hyper-V and System Center while attending the event. Well, that’s what we’re going to make happen this year, albeit a little creatively. Before I go into more details, let me first address the most obvious question that VMworld attendees (and IT professionals that are familiar with VMware) are probably asking right now – “why would I want to learn about Hyper-V while attending VMworld?” The answer is simple – to help their careers as technology professionals. Research shows that over 70% of businesses now have more than one virtualization platform in their IT environment. As you can imagine, this trend is opening up opportunities for IT professionals that are familiar with more than one virtualization platform. And if you look at the market data, it is clear that Hyper-V is the one to watch (and try!) . In fact, Microsoft is quickly catching up with VMware in terms of hyper-visor share. IDC data shows that over the last 3 years, Hyper-V has grown usage share 4 times faster than ESX/vSphere. Hyper-V in Windows Server 2012 supports twice the physical memory, twice the number of active VMs per host, and 32 times the maximum virtual disk size compared to vSphere 5.1? Windows Server 2012 and System Center 2012 include network and storage virtualization solutions at no extra charge? 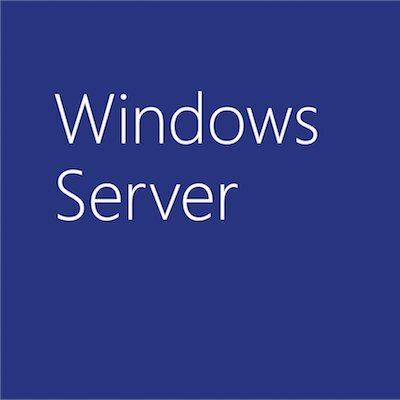 The storage enhancements in Windows Server 2012 can help you reduce your high availability storage costs by almost half? In a recent benchmarking test, ESG found that a single server running 12 Hyper-V VMs could support the requirements of 48,000 Exchange users? With System Center 2012, you can manage hypervisors from multiple vendors, as well as VMs running in off-premises/public cloud environments? With the software defined networking features in Windows Server and System Center, you can achieve complete VM mobility without having to purchase an expensive add-ons and additional technologies? Using System Center’s integration with Visual Studio, you can isolate root causes of application performance issues right down to the code level, and triage them directly to the development team? Now, back to VMworld, and our presence there. 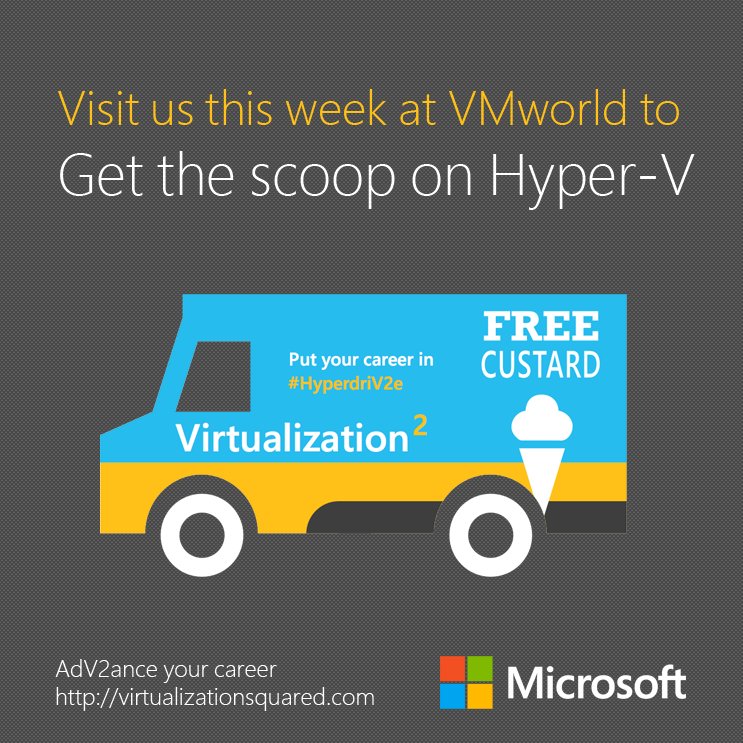 If you are a VMworld 2013 attendee, and would like to learn more about the progress we have made, we invite you to a free scoop of San Francisco’s finest frozen custard and some casual conversation with our technical experts at our frozen custard stand, located just a block away from Moscone center (201 2nd Street from Noon – 4 pm, to be exact). And needless to say, you are welcome even if you just want the custard!